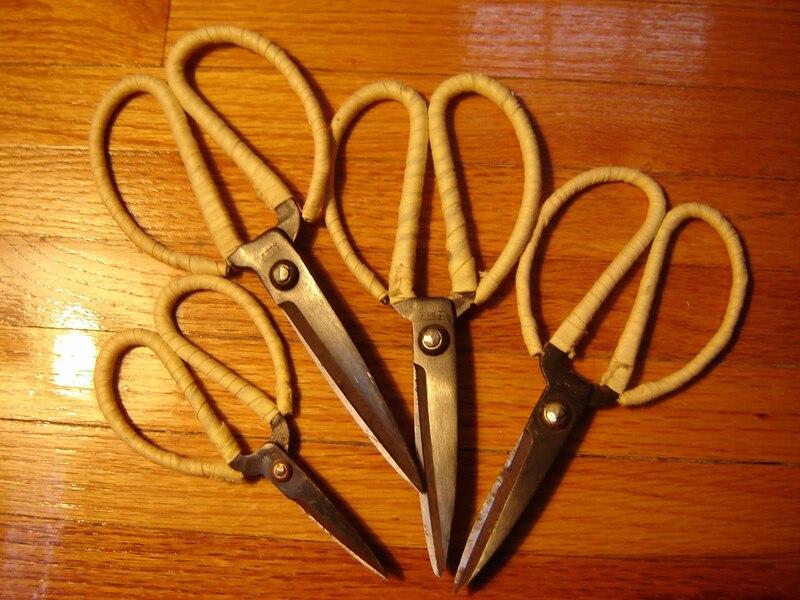 Chinese Scissors – It’s a Wrap! I like these scissors, inexpensive and sharp but I hated the iron smell that lingered, even after washing my hands. I had some binding tape so I covered the handles, no smell and as a bonus, they are more comfortable to use. Simply wrap once around with a couple of stitches to hold in place and then tightly wrap each loop and finally finish with a few more stitches to hold in place.